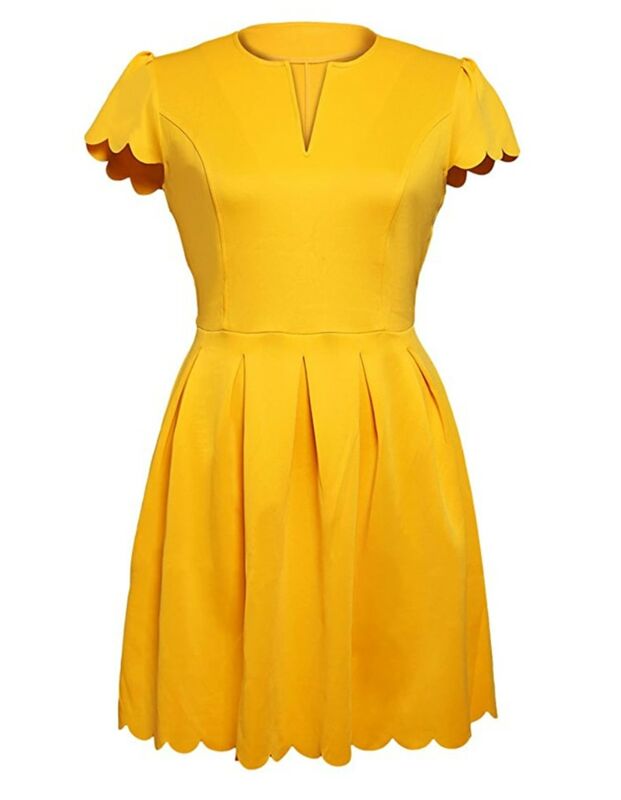 The bright dress looks good on everyone! Everybody loves a good bargain, but apparently, newscasters across the country all love the same bargain. 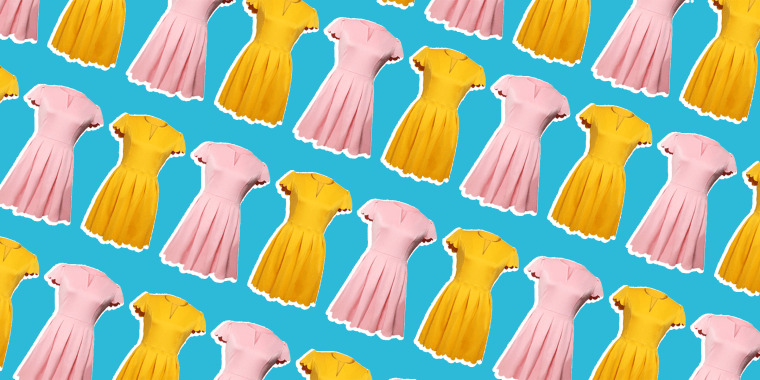 This time last year, a member of an all-women’s newscasters group on Facebook posted a link to a fitted, budget-friendly, short-sleeved dress on Amazon. Since then, at least 40 newscasters purchased the dress — which starts at $14 — and wore it on air, according to Frances Wang, an anchor with ABC 10 in Sacramento, California. Frances Wang, an ABC 10 anchor based in Sacramento, California, seen wearing the Sidefeel scallop pleated dress in pink.Courtesy of Frances Wang. “It’s girly and it’s also very feminine,” Wang told TODAY Style. “It’s flattering at the waist ... there’s a little cut at the top at the neckline, but it’s not too low.” Most of the anchors bought the dress in either yellow or pink, but it also comes in black, blue, red and white. Wang said the price of the dress was definitely a plus, especially for women newscasters who buy their own clothes but want to vary their wardrobe on air. “There’s a notion that we seem to sit around all day and get our hair and makeup done, but, it’s a grind and the last thing I want to do is worry about is what I have to wear,” said Wang, who added that she loves finding steals on Amazon, Nordstrom Rack and through Rent the Runway’s unlimited subscription. This isn’t the first time a dress has taken the newscaster world by storm. Back in November 2015, a group of female meteorologists all purchased this $23 pencil sheath dress after it, too, was posted in a Facebook group. It's made of polyester and spandex with a scallop trim and short sleeves. It comes in yellow (which is actually selling for $26 right now), pink, white, red, blue and black. Shop all the styles here. This article was originally published in July 2017 on TODAY.com.